The Audi R8 Spyder has been giving buyers the stylish and tech-savvy vibe of the R8 Coupe, albeit with an open-top configuration. While its 533hp engine is surely not lacking, some folks would still prefer the grunt of its more potent V10 Plus sibling. 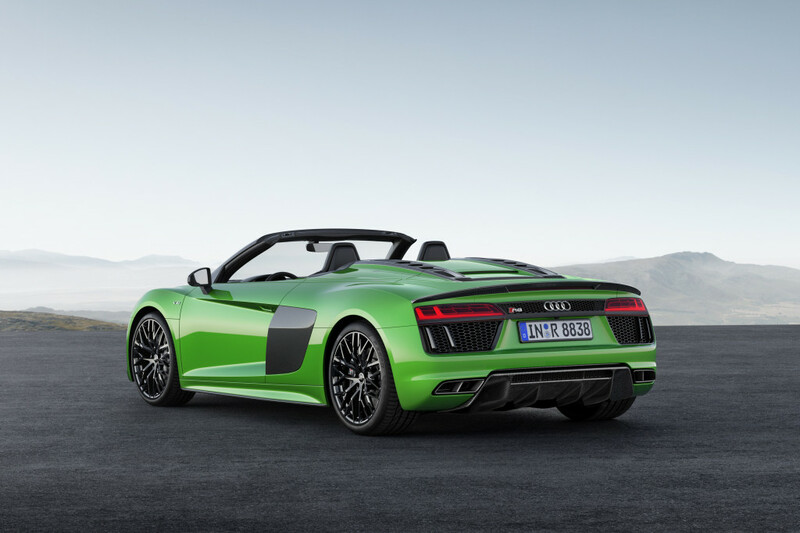 Well, wish granted as Audi finally unveils the R8 Spyder V10 Plus. The soft top version gets the same 5.2-liter naturally-aspirated motor from the Coupe and mates it with a 7-speed gearbox and quattro all-wheel drive. It still puts out 610hp and 600Nm of torque, allowing it to rocket from 0-100kph in just 3.3 ticks before hitting a 327kph top speed. Putting things into perspective, that’s half a second quicker to the century mark and about 10kph faster than the fixed roof version. While power and performance are truly important in this segment, let’s face it—looks count a lot as well. This is why the R8 Spyder V10 Plus gets unique styling cues to set it apart from the Coupe. You’ve got a fixed rear spoiler done in carbon fiber reinforced plastic, as well as a micrommata green design package with black contrast accents. And carbon ceramic brakes are also part of the mix. Now, you can have the power and performance of the potent V10 with the freedom of open-top motoring.